Need to feed some livestock? Have a large feeding operation? Boyd has the equipment for you. Built from high quality materials such as 10 gauge pans to new pipe. Boyd has been an industry leader in the feeder equipment business. Made with heavy duty 16-gauge steel and top quality pipe and tubing. Available in 6 sizes from 12’ x 8’ to 12’ x 24’ with a capacity up to 24,000 lbs! Built on metal skids for easy moving. 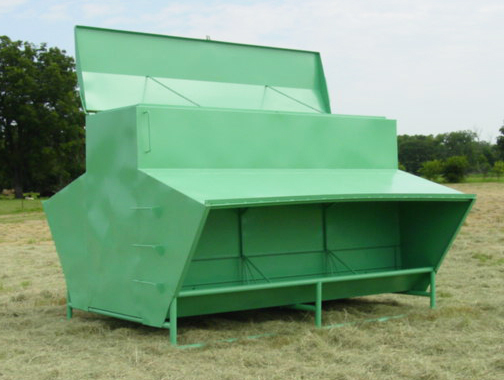 Our portable bulk feeders are available in single and double axle configurations. Our feeders are fabricated out of 16-gauge metal, heavy steel tubing, and angle iron. Fully assembled, ready to add feed. Compact and easily adjusted. 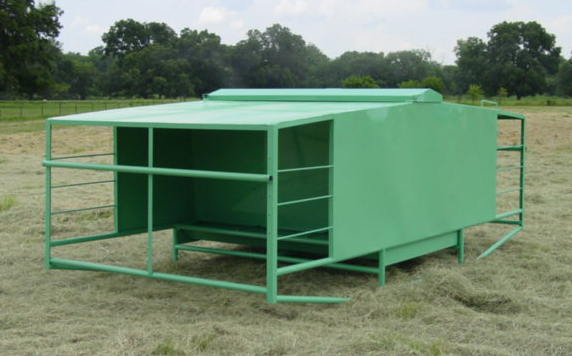 7 1/2’ x 15’ holds 3,000 lbs of feed to accommodate up to 40 calves. Adjustable gates allow easy access for all calves. Built on skids for fast, easy moving. At 7 1/2’ x 7 1/2’, this creep feeder is just half the size of our regular creep feeder with all the same features. 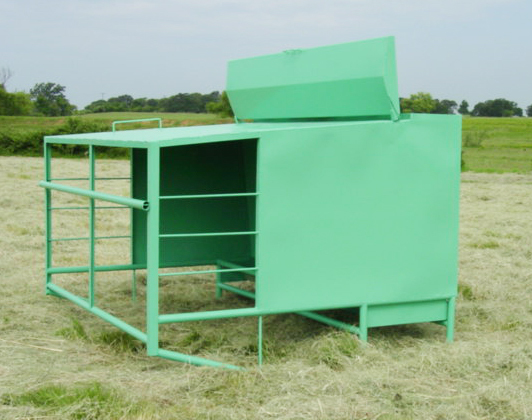 With a capacity of 1,500 lbs, this feeder can feed 20-25 calves. This feeder is designed to fit against any fence for easy access when filling. Boyd’s standard troughs measure approximately 30” wide and 8” deep. 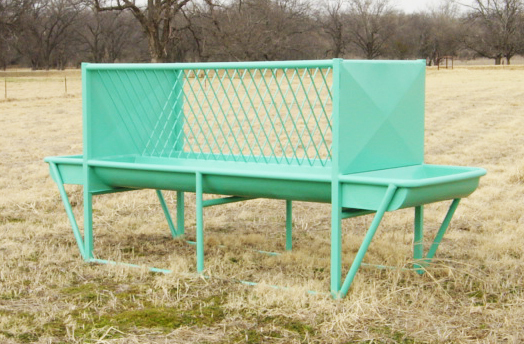 This space saver trough is your feeding answer! Available in 8’, 10’, 12’, and 14’ lengths. Have some horses that don’t get along? Use one of Boyd’s combination horse feeders to keep those unfriendly animals apart, without buying separate feeders. Also available without end troughs and extended hay rack.